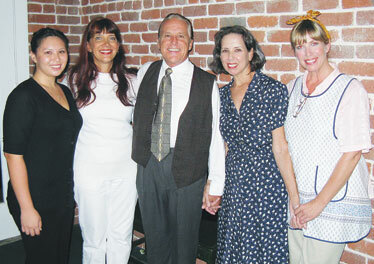 TAG'S "HOUSE" SURREAL BUT TOUCHING: Jessica Kauhane (Matilde), left, Victoria Gail-White (Lane), John Wythe White (Charles), Frankie Enos (Ana) and Catherine Fong (Virginia) came out to meet the audience after the Actors Group production of "The Clean House" Friday in Chinatown. Kauhane stars as an expatriate Brazilian comedian who hates housework but is supporting herself in the United States by working as a maid for a pair of doctors. Her employers' relationship suddenly changes when the husband (John White) leaves his wife (Gail-White) for a breast cancer patient (Enos). It's funnier than it sounds, and occasionally poignant as well. Call 722-6941. 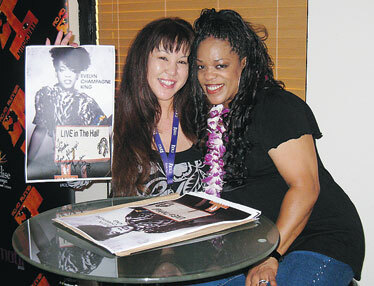 KING PLAYS THE HALL: Evelyn "Champagne" King, center, thrilled a lucky group of contest winners with an intimate midafternoon concert Friday at Clear Channel Hawaii's Road Runner Music Hall. King performed her two biggest pop hits, sang "A Change Is Gonna Come" a cappella and chatted with the audience. 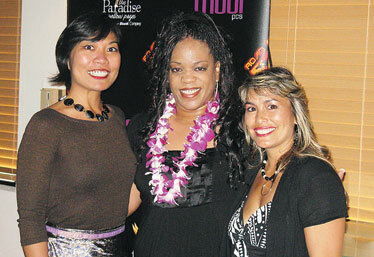 KSSK deejay Kathy "w/a K," left, joined concert emcee Sweetie Pacarro in welcoming King to the Music Hall. 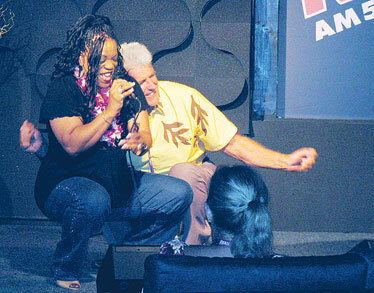 KSSK contest winner Gene Grounds was invited onstage to dance with King while she sang her 1982 hit, "Love Come Down." The audience all went "Awwwwww" when Grounds told King that he and his wife, Sally, who was watching in the front row, were newlyweds: "After 53 years we found each other (and got married)." 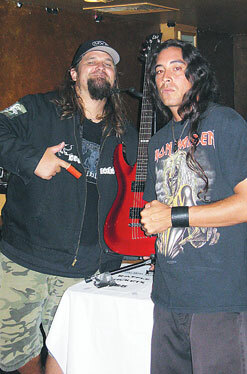 King autographed a commemorative poster for Michi Moore after the show. Moore contributed another "Awwwwww" moment to the chat session when she identified herself as one of King's MySpace friends and added that she had sent messages of encouragement to King when the singer became seriously ill while her husband, jazz musician Freddy Fox, was on tour. King's new album, "Open Book," comes out today. John Berger has covered the local entertainment scene since 1972. Contact him at jberger@starbulletin.com.